"There's no one more qualified to write the story of Ryan Adams than David Menconi. A music critic at the News & Observer in Raleigh, N.C., he enjoyed a friendly relationship with the former Whiskeytown leader and "It Boy" that lasted until 2001. Drawing from interviews with the artist, as well as his former bandmates and infamous online postings, the author paints a portrait that can be insightful at times, mainly when discussing the attraction behind alt.country phenoms Whiskeytown. Mainly North Carolina-based, the band had an Austin component, one this writer got to witness firsthand, and Menconi captures it with precision. Yet the discussion of Adams' solo career, when Menconi lost direct contact with his subject, comes off less cogent. Meanwhile, his song-by-song analysis of certain works occasionally devolves into fan speak. 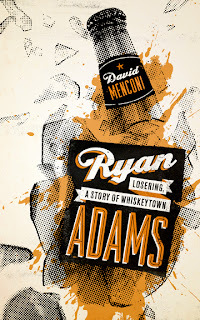 Still the meat of the book, the story of Adams' beginnings, his uncontrolled songwriting gift, and the anarchy surrounding Whiskeytown is well told." David Menconi takes part in TBF's Lit Crawl. His "And Rock & Roll" panel discussion weighs in Saturday, Oct. 27, 9-9:45pm, at Shangri-La, 1016 E. Sixth. Click here for a schedule of UT Press authors at the 2012 Texas Book Festival.